Honeybees are awesome enviro-helpers and wasps are intolerant d*cks. It is therefore surprising to find that bees and wasps are thought of interchangeably in the minds of the general public. Any black and yellow flying insect with a stinger is often referred to as a “bee” and it drives me crazy. A fear of “bees” is often founded upon a negative experience involving aggressive wasp behaviour and at least one painful sting. It’s then assumed that all stinging insects have the same propensity to sting. A honeybee, however, is FAR less likely than a wasp to use its stinger. The stingers of worker honeybees are barbed and as such they become lodged in the flesh of their victim and the bee dies as a consequence. A honeybee won’t sting someone unless that bee’s life is in imminent danger or their hive is being threatened. It’s not that a bee won’t sting you; they are just not likely to sting you unless you do something stupid first. If in the presence of a bee you freak out and swat your hands around in the air the bee might feel like you’re trying to kill it and it might respond accordingly. Wasp’s stingers are smooth and can be used repeatedly. 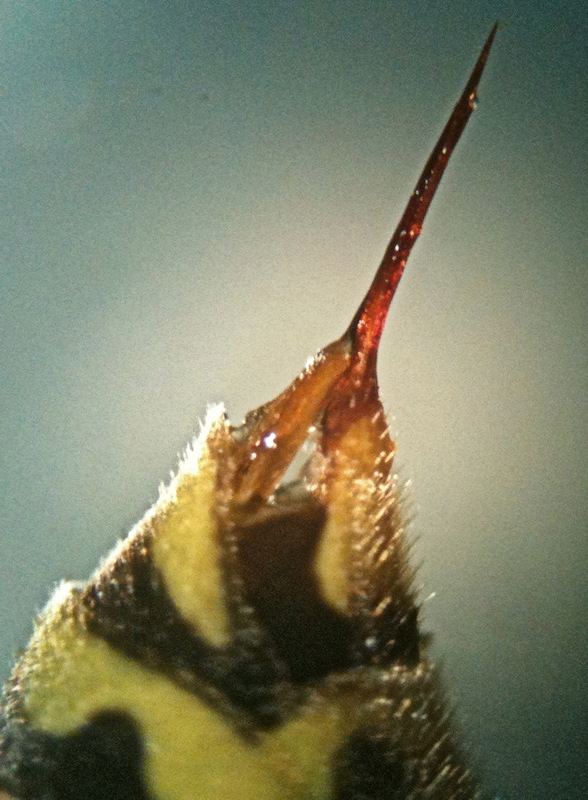 Wasps suffer no deadly consequence when they sting so they don’t need nearly as much provocation to become aggressive. They’ll sting those who come close to their nests or those who don’t worship the appropriate wasp god. Why are these differences important? Because people are afraid of honeybees when they shouldn’t be and that fear leads them to kill swarms and ban urban beekeeping. 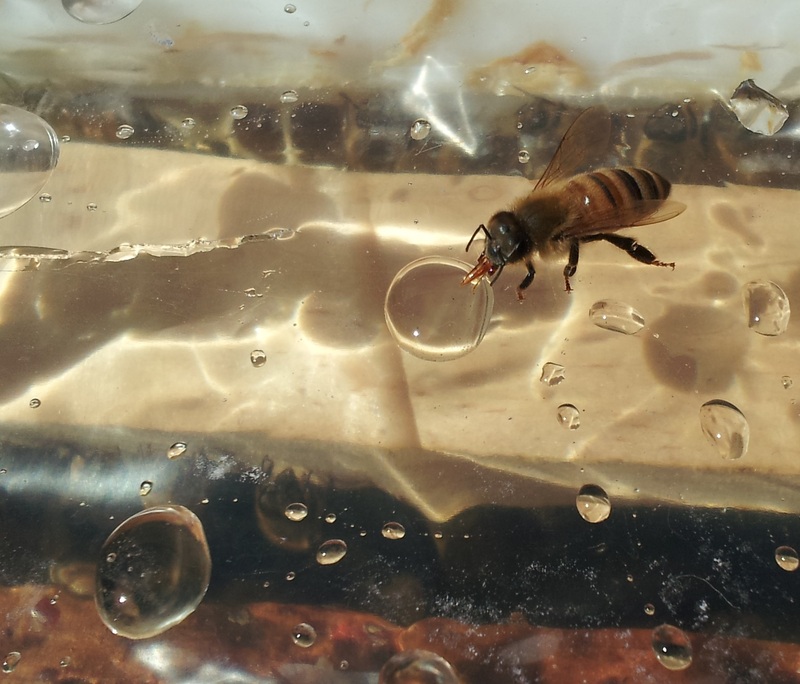 Wasps are one of the reasons why it’s difficult to get municipalities to pass urban apiculture legislation (or remove restrictions against urban apiculture). Bees are having a hard time right now and they don’t need an unwarranted reputation to keep them from getting the support and help they might need. So please make a point of correcting anyone who calls a wasp a bee (or says that they “hate bees”) and let them know that we should appreciate bees instead of lumping them into the same category as the repugnant wasp. 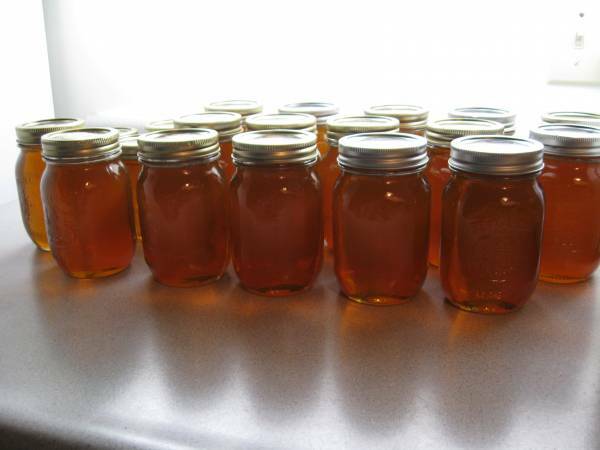 This entry was posted on August 30, 2014 by beewhispers in Bee Philosophy, Bee Trivia, Urban Beekeeping and tagged apis mellifera, bee, bees, Honey bee, Honeybee, law, learning, Local, Ottawa, Science, urban apiculture, urban food.